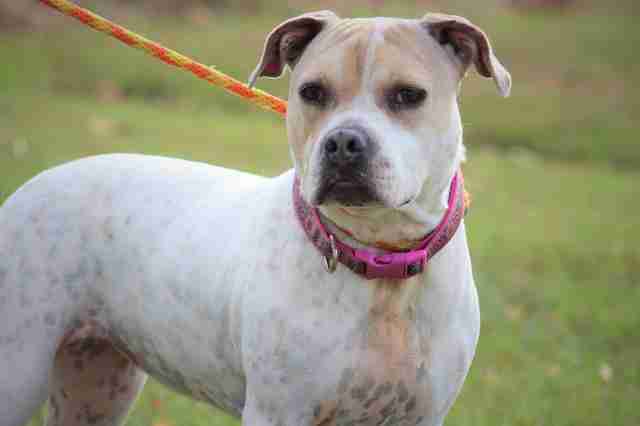 Bella is a 6-year-old bulldog mix who loves people and has an adorable underbite. But she’s spent more than half her life in a shelter, and no one can understand why. 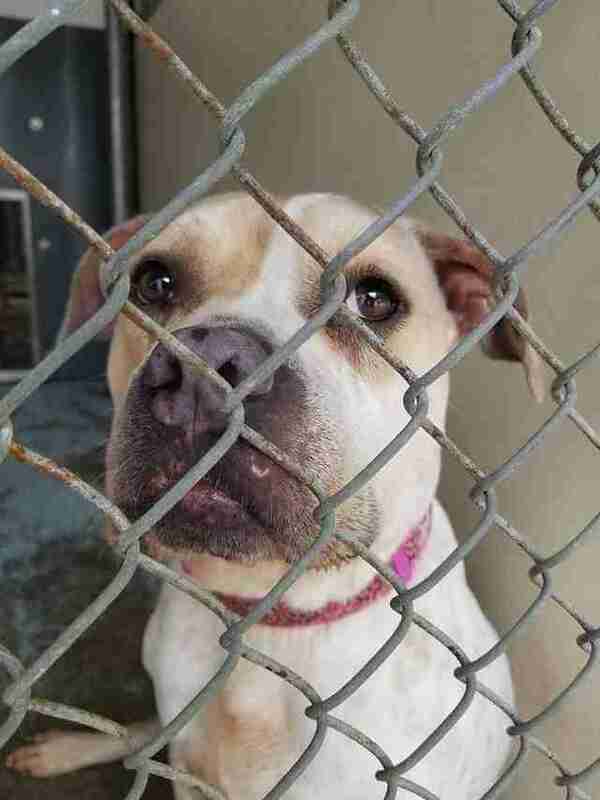 Three years ago, Bella wound up at the Plaquemines Animal Welfare Society (PAWS) in Belle Chasse, Louisiana, after being picked up as a stray. 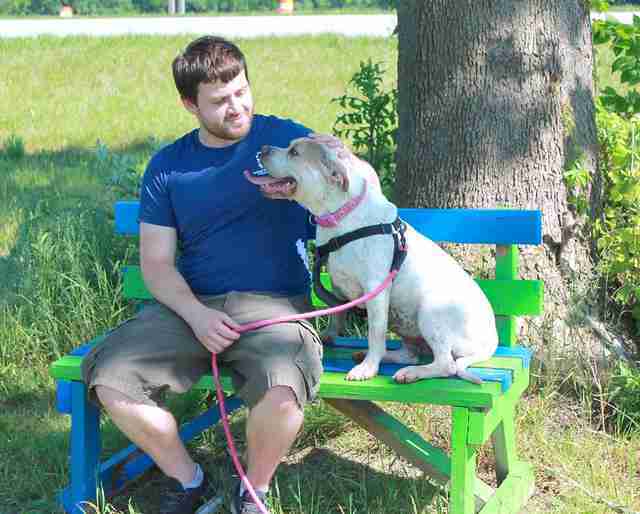 At first, Bella seemed like any other dog at the shelter, but the staff eventually realized that she was deaf. Last year, PAWS ran into some trouble. When the local town flooded with water, the shelter flooded as well — not with water, but with homeless dog and cats. The PAWS staff reached out to other shelters, asking if they’d take some of their animals. 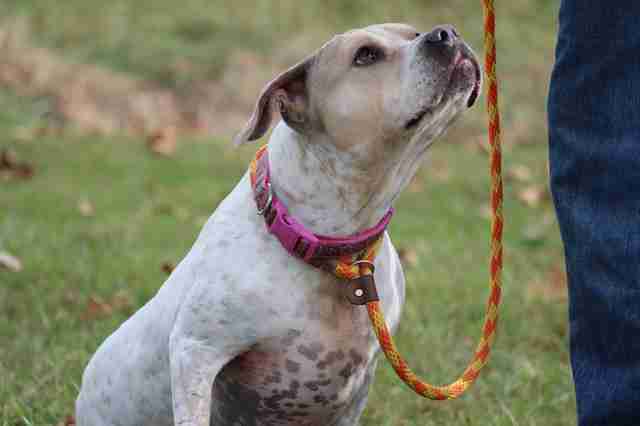 The Animal Welfare League of Queen Anne’s County in Maryland agreed to take 15 dogs, including Bella. Unfortunately, this wasn’t the case. Bella may have moved to a different shelter, but she stayed in the exact same situation — living in a kennel instead of a home. Bella’s bad luck may have something to do with her barking, Heritage explained. But once Bella is out of her cage, she’s completely different. Besides spending time with people, Bella loves going for walks, running “zoomies” around the play yard and licking peanut butter out of a Kong. The best home for Bella would be one where she’s the only dog, Heritage explained. 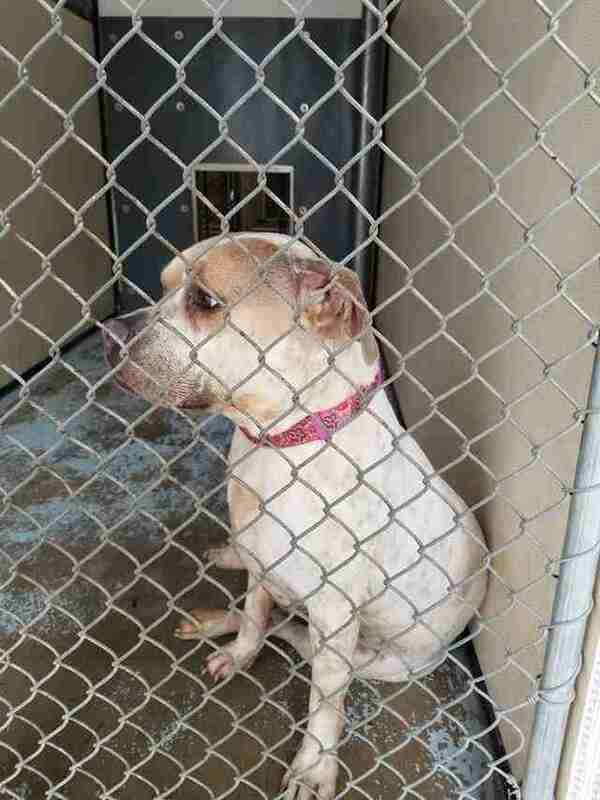 She also needs an owner who’s willing to invest time in her. 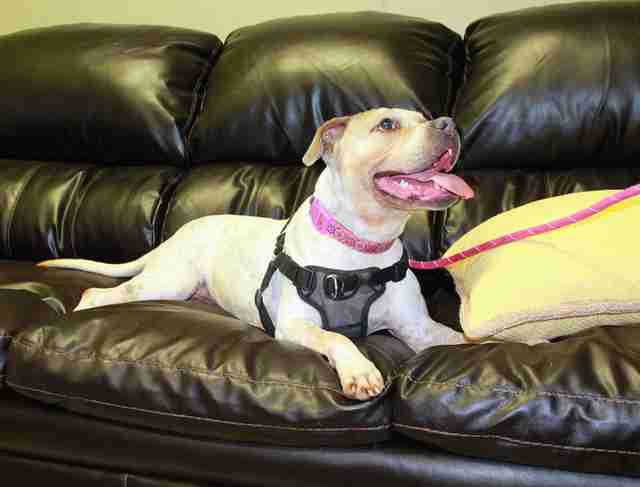 Yet Heritage and everyone else at the Animal Welfare League of Queen Anne’s County are hoping for the best — they want to see Bella in a home as soon as possible. If you’re interested in adopting Bella, contact the Animal Welfare League of Queen Anne’s County.